West Norwood Crematorium opened in 1915 and offers a fitting location to say goodbye to a loved one. The South Metropolitan Cemetery Company built a crematorium on the site of what is now West Norwood Cemetery in 1915. This building was destroyed by enemy action on 1944, an event that destroyed and damaged many monuments but did not result in any casualties. In September 1956, a new crematorium was opened on the site currently occupied. This new building offered two chapels, the Hall of Memory, an oak columbarium and a recordia all of which still exist today for memorialisation or quiet reflection. The Book of Remembrance resides in the Hall of Memory wherein a lasting record may be made and kept in perpetuity of those who have passed away. The chapels are kept closed when services are not held, but visitors may visit the rest of the building during opening times. Parking is available across the site. Our main chapel is available for burial, cremation and memorial services and seats 100 people. The traditional style of the chapel creates a serene atmosphere and the subtle lighting throughout gives an air of tranquillity and communion. Our chapel houses a chamber organ and we provide recorded music free of charge. If you require an organist at your service this will need to be arranged through your funeral director. Full length curtains can be drawn at the end of each service according to taste, to remove the coffin from view. However the coffin may remain on view until all mourners have left the chapel. Cremated remains may be scattered in our Garden of Remembrance or the crematorium chapel lawn with our permission. An appointment will be required if you wish to witness the scattering. 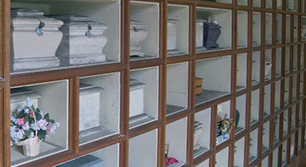 Cremated remains can also be scattered on a private grave with the grave owner’s permission. If you wish to be present at the scattering please contact us to arrange a suitable time. Cremated remains will be provided in a suitable container if you wish to take them away with you. Our Garden of Remembrance is laid out within the peaceful grounds of the cemetery and is specifically designed for the scattering of cremated remains on our lawned sections. The garden incorporates several memorial schemes and the layout provides a pleasing and welcoming environment in which to remember your loved ones. various plaques including bronze, leather and also stone tablets. We offer a family cremation plot, which is like a small family grave, and can accommodate four cremation urns. 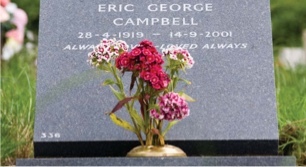 A small headstone is placed over the grave and suitably inscribed. All of these memorial options can be dedicated for varying periods and renewed on expiry. Our staff will be pleased to provide you with more details or please see our memorials page for more details. These are available at West Norwood Crematorium. We have a range of memorial plaques available at West Norwood Crematorium.